You’ll get the best out of it if you’re under 70kg/155lb, but that doesn’t exclude heavier riders. In fact, for heavier riders, the 9’8” makes a great surf shape. Key to the 9’8? Ride’s versatility are its dimensions. It’s 787mm/31” wide and 100mm/3.93” thick, which makes it a stable but manoeuvrable board. 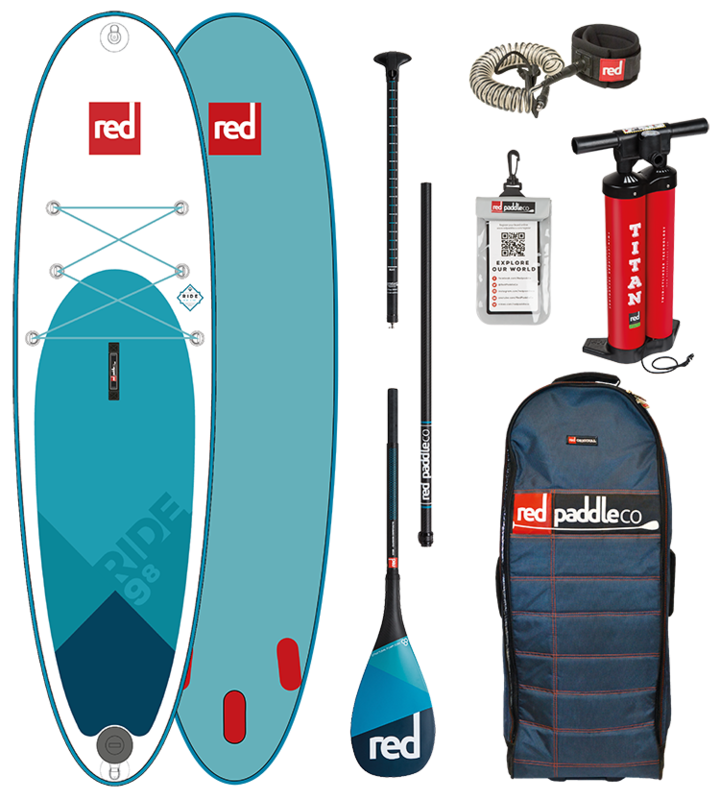 Reds patented RSS, or Rocker Stiffening System, makes our boards up to 40 per cent stiffer by displacing the riders weight over a greater length of the board. It works by slotting two stiffening battens into pockets that are individually laminated on to the side of the board. The battens are attached to cords held down with velcro tabs, making them really easy to remove. MSL fusion composite and airtight coating, MSL involves fusing a second layer of hard-wearing polymer to the dropstitch core at the raw material stage, removing hand gluing errors. The high-tech industrial process saves almost 2kg in weight whilst making the boards stiffer at lower pressures. With the third generation of MSL material now in use, their boards are more durable than ever! The 9’8? Ride comes fitted with a special fixing that is compatible with Railblaza and Ram Mounts products, enabling you to securely attach a mobile phone, action camera, your paddle when you’re taking a dip, or even a fishing rod.